Measures to improve overcrowded and dangerous living conditions of private tenants in shared homes were laid before Parliament today (15 March 2018) by Housing Minister Heather Wheeler. 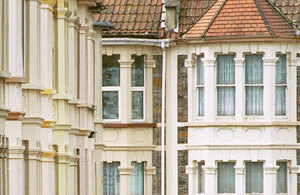 Councils are being given tough new powers to tackle the small minority of rogue landlords who rent out overcrowded properties and impose fines of up to £30,000 for those landlords who do not comply. This move will help ensure tenants have the space they need and deserve as well as reduce health and safety risks they face by sharing cooking and washing facilities with too many people. In a move to stop rubbish piling up outside some shared rented homes, often presenting health risks and blighting neighbourhoods, landlords will also be required to provide adequate waste storage facilities in line with their local authority’s rules. If they fail to do so they could face a fine. "Everyone deserves a decent and safe place to live. But some tenants are being exploited by a minority of unscrupulous landlords who profit from renting out cramped and sometimes squalid or dangerous properties. "Today’s measures will mean landlords must provide adequate space for their tenants or face a hefty fine. It is part of a raft of new powers for councils to crack down on rogue landlords and comprehensive action we are taking to improve conditions for private tenants."